In January, the Iona Institute and the Irish Catholic newspaper held a conference called ‘Pope Francis and the Future of the Family’. It was a reflection on the two Synods on the Family that took place in Rome in 2014 and 2015 and which led to the Apostolic Exhortation, ‘Amoris Laetitia’ in April. 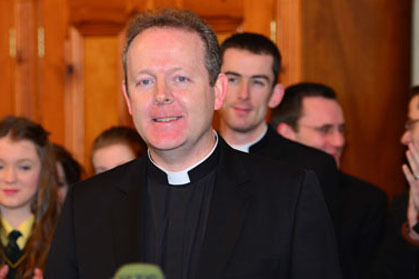 The keynote speaker was the Archbishop of Armagh, Dr Eamon Martin. His talk can be found here. Other speakers included Baroness Nuala O’Loan, Papal Nuncio, Archbishop Charles Brown, David Quinn and Breda O’Brien of The Iona Institute and family expert, Bairbre Cahill.